Books connect people and countries. When designing his bookends the Viennese architect and designer Martin Mostböck was inspired by the most famous of all European mountain passes, the ‘Brenner’ pass. For him the Brenner pass symbolises the border from Northern to Southern Europe and accordingly is the 'Northern' bookend made of marble from Tyrol and the 'Southern' bookend is made from Italian Carrara marble. 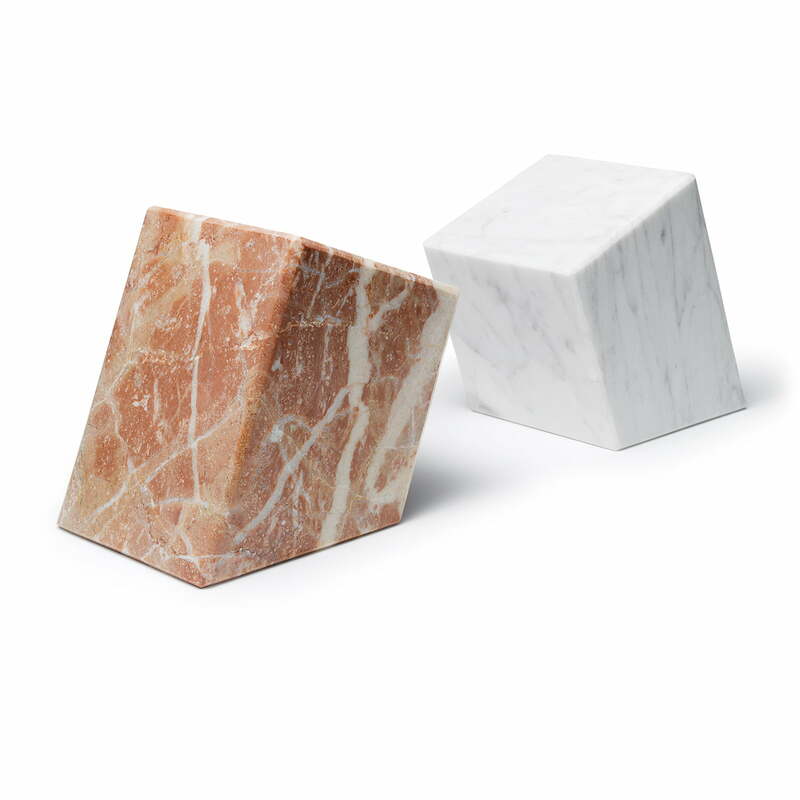 The design of the bookends is clear and concise, they can be placed in two positions and the inclination angle of 23.4 degrees corresponds exactly to the angle of the Earth's axis. The bookends are not only of use as such, but also as standing sculpture the Brenner can be displayed, enhancing any home with its appearance. Individual product view of the Auerberg bookend Brenner. The bookends are not only of use as such, but also as standing sculpture the Brenner can be displayed, enhancing any home with its appearance. Individual product view of the Auerberg bookend Brenner. Books connect people and countries. 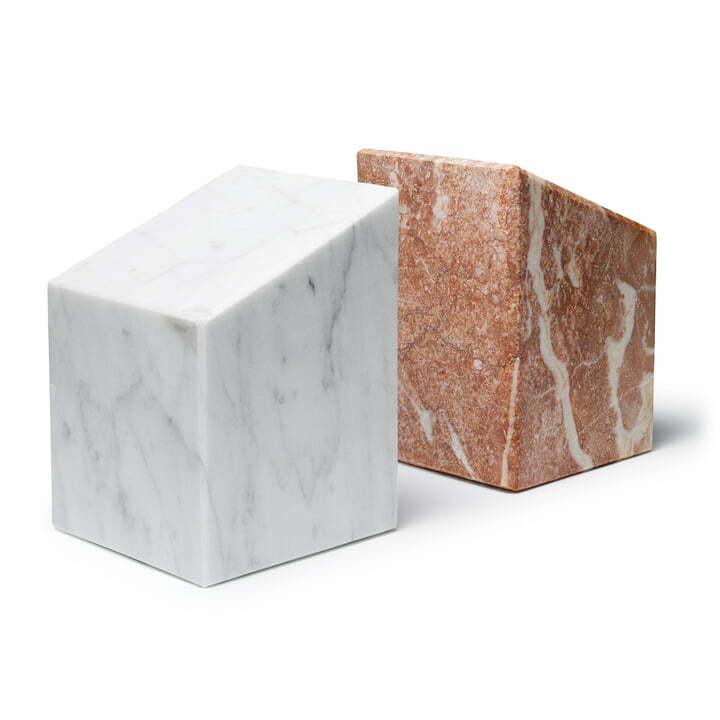 The Viennese architect and designer Martin Mostböck was set on this idea when designing his bookends. Individual product view of the Auerberg bookend Brenner. 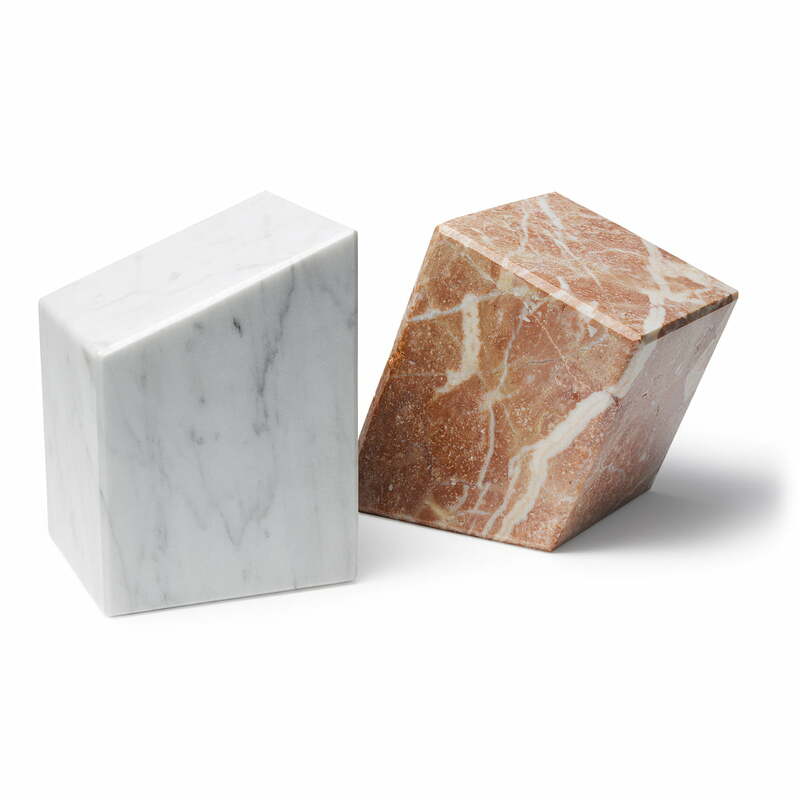 For him the Brenner pass symbolises the border from Northern to Southern Europe and accordingly is the 'Northern' bookend made of marble from Tyrol and the 'Southern' bookend is made from Italian Carrara marble.